If we’re lucky, it will be the start of a trend. Never has Texas seen as much money spent on Congressional campaigns as it did in 2018. New campaign finance data shows that the state didn’t just beat its old campaign spending records for Congress, it obliterated them. More than $97 million was poured into the November general election in 2018 for the U.S. House. The previous spending record was in 2004 when just under $60 million was spent by candidates running for Congress in Texas. The record spending for the state’s 36 House seats was spurred by Texas suddenly having a half dozen competitive races that became a key part of the national battle for the control of Congress. Three of those races accounted for nearly one-third of all the spending. Overall, the 36 Congressional districts averaged more than $2.6 million spent per contest. That spending doesn’t count candidates who lost in the primaries like Republican Kathaleen Wall, who spent $6.2 million of mostly her own money in a failed attempt to win the 2nd Congressional District primary in Houston. Despite not making it to the general election, Wall still ended up spending more money on her race than any House candidate in Texas. Republican Dan Crenshaw, a retired Navy SEAL won the 2nd Congressional District primary and defeated Democrat Todd Litton in November. Crenshaw spent almost $1.7 million on his campaign. The 2004 election was the one following the Tom DeLay re-redistricting of 2003, so that money was being spent in the five Democratic-held districts where Republican challengers were seeking to oust the Dem incumbents with the help of the new, friendly map. In other words, the same basic dynamic of multiple competitive races, which led to a crap-ton of money being raised. I know people have a lot of negative opinions – for good reasons! 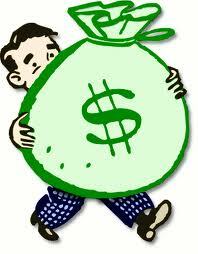 – about money in politics, but the fact remains that money gets spent when there are competitive elections. When there are no competitive elections, much less money gets spent. All things being equal, I’d rather have the competitive elections. Here’s the FEC summary page for Texas Democratic Congressional campaigns from 2017-18, and here’s the last roundup of reports I did, at the end of Q3. The three biggest-money races were the ones you’d expect – CDs 07, 23, and 32 – but as we know there were four other Dem candidates who raised over a million bucks for the cycle, and a lot more big-money primaries, of which CD07 was definitely one. To me, the big under-reported story is in how much money was raised by candidates in “non-competitive” races. Dayne Steele, God bless her, raised over $800K. Julie Oliver, who was actually in a reasonably competitive race that no one paid attention to, raised over $500K. Candidates Vanessa Adia (CD12), Adrienne Bell (CD14), Linsey Fagan (CD26), and Eric Holguin (CD27), none of whom cracked forty percent, combined to raise over $500K. The candidates in the highest profile races brought in staggering amounts of money – and note that we haven’t even mentioned the candidates whose name rhymes with “Schmeto” – but I cannot overstate how mind-bogglingly impressive what these candidates did is. They deserve more credit for helping to generate and sustain the enthusiasm that led to the massive turnout and major downballot Democratic wins than they will ever receive. We should be so lucky as to have a repeat of this performance in 2020.